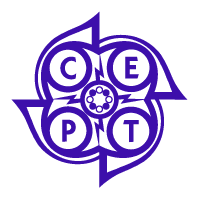 Qualification : Current CEPT undergraduate thesis students in good standing Current master’s students at CEPT Graduates with less than 5 years of experience from CEPT as well as other schools can apply. Interested applicants are requested to send their CV and portfolio along with the TA form. Please submit your application to the University Staff Office (USO) at uso@cept.ac.in before 15th April, 2018.